Argument about plagues makes Passover lesson memorable – J. “Hurricanes,” said a classmate. “Tornadoes,” said another. These were followed by whatever catastrophes we could think of, grabbed from the headlines of the day. Wars, droughts, epidemics, riots. … We and Mr. Birnbaum were on a roll. “Strikes,” piped up another student. “Yes, strikes are also a modern plague,” said Mr. Birnbaum, pleased with our ability to identify all sorts of contemporary scourges. Now the boy who had shouted out “strikes” pushed back. Don’t innocent people suffer from a strike? The recent sanitation workers’ strike and the pungent accumulation of trash on the sidewalks of New York was fresh in our memories. Barry was unmoved. Mr. Birnbaum had prepared a simple lesson on the Ten Plagues and now class warfare had broken out in Temple Beth El’s fifth grade. To make peace, Mr. Birnbaum finally adjudicated that strikes can be both a blessing and a plague. Arms crossed indignantly, implacable Barry had the last word: “They’re still a blessing!” he grumbled. What made this memorable 45 years later? We had related the Passover story to our own lives. But something else also happened — an argument erupted. The argument drew me in and illuminated the meaning of blessings and plagues. There was no right or wrong answer — just different interpretations of experience and text. And it was up to me to formulate my own opinion — based upon what I had learned. Such learning requires the active participation of the learner, not as a consumer of learning but as co-creator. Argument requires us to dive in, to expand on the story, and write new chapters. 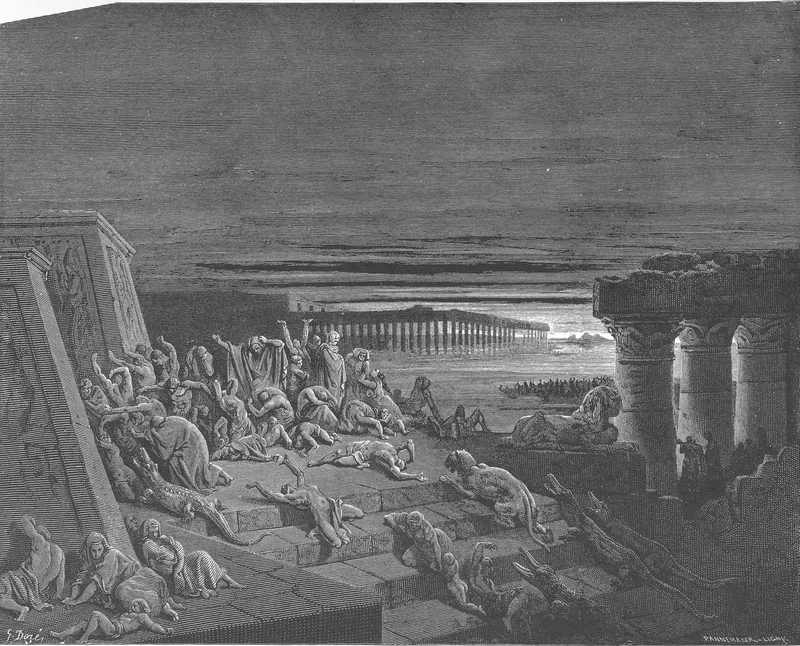 “Whoever expands on the story of the Exodus” the haggadah tells us, “is worthy of praise.” Last week’s J. expanded on the story by featuring an article exposing the horrors of human trafficking. (“Human trafficking in our own backyard: It’s inhuman.”) Three thousand years after our liberation from Egypt, abolitionists believe 30 million people are trapped in some form of slavery today. The op-ed suggests that, as we retell the story of our own enslavement at Passover, we should be more attuned to the plight of those victimized by trafficking today. That’s why Jewish LearningWorks distributes information about contemporary slavery in relation to Passover. Not only because we abhor slavery, but because we support good pedagogy. The prime directive for Passover is for us to feel as if we ourselves were liberated from slavery. Everything we do, from the telling of the maggid (narrative) to the maror (bitter herbs) and matzah, is all geared to that outcome. Why? So we remember what it feels like to be a stranger, so we will not oppress the stranger. A seder that fails to heighten our awareness of slavery around us is a failed seder — like the scene in Dara Horn’s Civil War novel, “All Other Nights,” in which a Southern Jewish family celebrates the seder while being served by their slaves. Perhaps that’s why my friend Barry reacted so vehemently. Maybe referring to strikes as a plague felt to him like we were missing the point of our liberation from slavery. More Jews participate in a seder than any other Jewish ritual. It’s not hard to understand why. 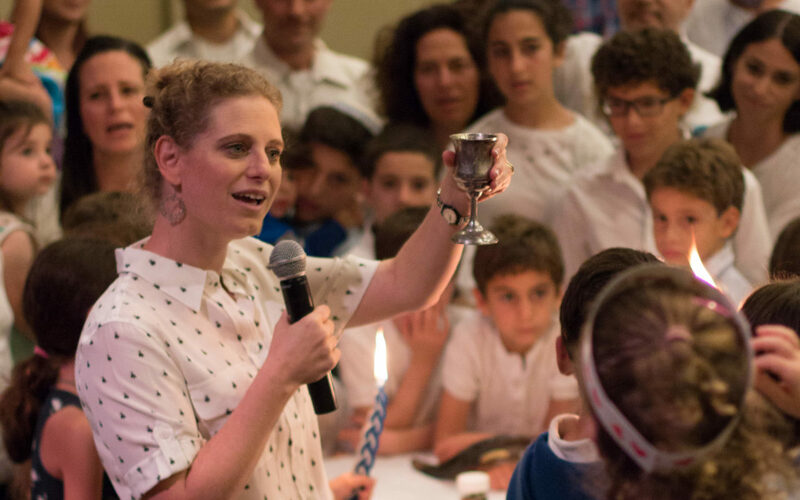 When done well, a seder embodies the key elements in successful Jewish education. It empowers the learner as co-creator: The seder participant does not simply sit there like a matzah, she participates, questions, argues. The seder enables us to connect Jewish text and tradition with our lives and experiences. It is a social experience: We participate in ritual and conversation with friends and family. Within its established structure, the seder has an open architecture, inviting experiment and innovation. More than 2,000 haggadahs are in use, reflecting a broad diversity of approaches to the tradition. We come to the seder for myriad reasons — to be with family, to participate in the tradition, because we are commanded, because it’s fun. Ultimately, the seder, like any learning experience, aims to change us. Judaism challenges us to be better people, to remember what it was like to be slaves and act upon that memory. That necessitates the move from comfortable certitude to questioning and argument. And it calls us to open our eyes to the slavery and trafficking in our world and in our products, so we don’t end up like that Civil War family — celebrating our liberation while benefiting from the fruits of slavery. David Waksberg is CEO of Jewish LearningWorks in San Francisco.